Wings to carry me home. Your name is its song. The background is pieces with a pattern called Hugs and Kisses (Xs & Os). The butterflies are thread embellished and appliqued. 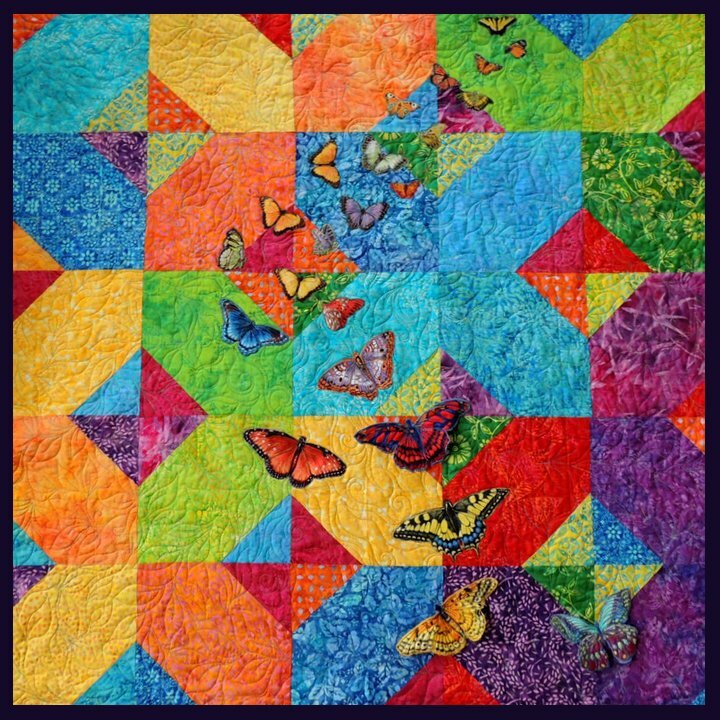 The three butterflies flying above the canvas are quilted using a special batting that allows you to mold and sculpt the item by heating it before it becomes permanent.